We want your first experience with us to be comfortable and relaxing. We know that a first time to a new place can be stressful. We’ll do our best to prepare you for your time with us. Don’t ever hesitate to ask questions at any time. We are here and happy to help in any way. When you enter our office, we will direct you to our sign-in sheet and request that you provide your picture identification and insurance cards for us to scan into our system. We will ask you to complete our New Patient forms; this information will provide us with your health history and details regarding your condition. 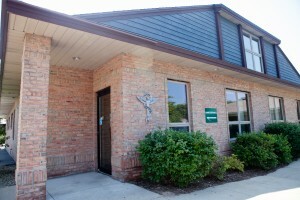 If you would like to fill out these forms prior to your visit, please click here: forms page. Next, you will have an initial consultation with one of our staff members to discuss your symptoms and health-related concerns. Your initial visit is designed for Dr. Brusveen to learn more about you and your condition and how chiropractic may be of benefit to you. 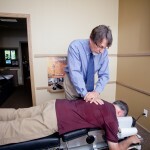 After your consultation, Dr. Brusveen will perform a complete chiropractic examination, including neurological, orthopedic, postural, and physical tests. 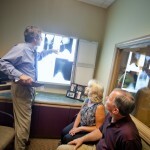 For safety, speed of recovery, and precision of care, we use X-ray. To see is to know, to not see is to guess. 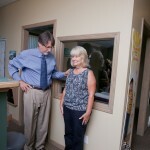 We expose hard tissues to minimal X-rays while you are standing. Misalignments which are not seen when you are lying down become apparent under the gravitational stress of the upright position. 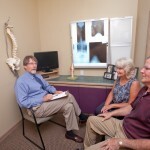 Advance studies when needed, are referred out for MRI or CT testing. We may also send for previous reports or studies, when available, to aid in your diagnosis and care. Precise care is safer, more effective, and simply easier on you, the patient. Once your information has been collected and your examination performed, Dr. Brusveen will evaluate these findings and your X-rays (if any.) You will be scheduled for your next appointment at which Dr. Brusveen will give you a detailed report, his recommendation for your care, and answer your questions. If your condition requires coordination of care with another provider, he will address that need. At the conclusion of your Report of Findings appointment, you can choose to experience your first treatment. This may include spinal adjustments, mechanical traction table (a patient favorite! ), cold laser therapy, computerized decompression. 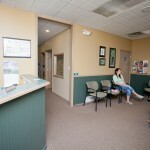 Your care is interactive, so please tell Dr. B how you feel about the various treatments at anytime. When you have questions, ask them! Prior to leaving, the doctor will suggest a wellness program to incorporate supportive care outside of treatment. If you are in pain when you first come into our office this may include ice application instructions, certain activities or positions to avoid, and at-home exercises and/or stretches. If you desire, our wellness team will work with you also to create healthy habits and routines for your lifestyle. Every person is unique; therefore, everyone requires a customized wellness plan. The purpose of our wellness program is for you to achieve good spinal alignment, have a healthy diet, exercise, and maintain a positive mental state.